Dolce & Gabbana has become a symbol of Italian fashion throughout the world. Founded by Domenico Dolce and Stefano Gabbana, Dolce & Gabbana was created to blend sensuality with the creators’ Mediterranean roots. 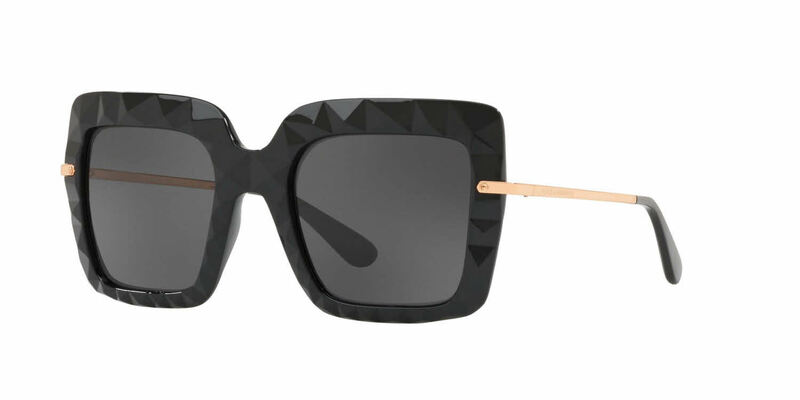 Sunglasses by Dolce & Gabbana are a contemporary luxury staple with a Mediterranean feel full of passion. The brand's sunglass frames embrace raw energy, opulence, and sensuality with an unmistakably timeless style. Luxury combined with originality and innovation are what set Dolce & Gabbana sunglasses apart. Due to manufacturer's restrictions, Dolce & Gabbana products cannot be shipped to Australia. Dolce & Gabbana DG6111 is a Full Rim frame for Women, which is made of Propionate. Dolce & Gabbana DG6111 Sunglasses come with a cleaning cloth and protective carrying case.